Remember when having a 100GB hard drive meant you could install all your games and have bragging room left over? 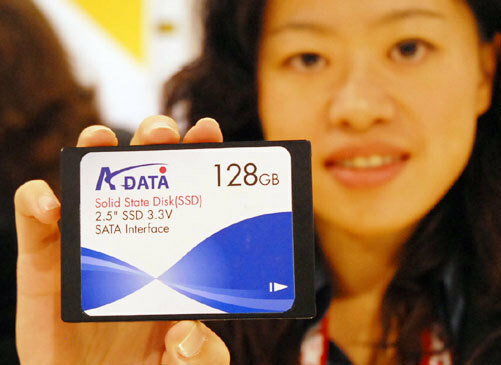 The days of 100GB hard drives could vanish soon with the release of a 2.5-inch solid state drive from A-Data. Clocking in at a 128GB capacity, this would indeed be the largest SSD ever. It also connects via SATA so you should be good as far as hooking it up and speed goes. Cost and exact release date aren’t available but solid-state storage this big doesn’t come cheap!